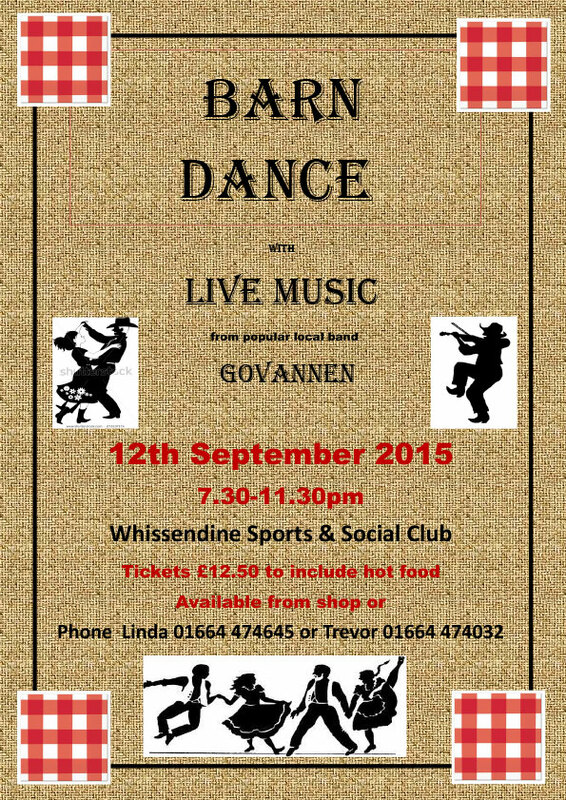 Come and join us at the village Barn Dance on September 12th 2015 at Whissendine Sports Club. Live Music will be provided from the popular local band Govannen. Tickets are £12.50 and include hot food. Phone Linda 01664 474645 or Trevor 01664 474032 for details / tickets. Also see our barn dance poster for details.